As an Ecologically pure material “wood” is proven to be a significantly healthier material to live in. 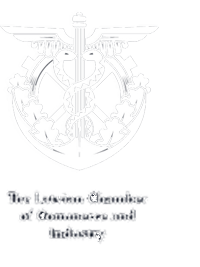 Being a material that ‘breathes’ by virtue it naturally maintains oxygen balance and optimum air humidity levels. 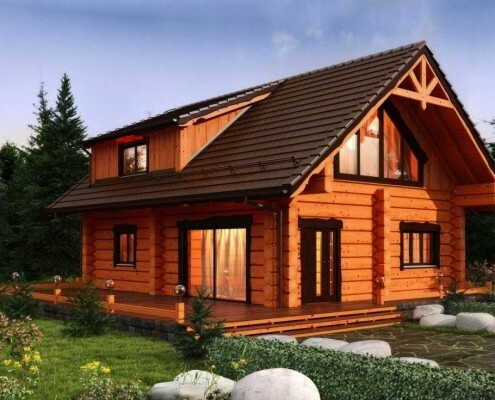 All the charm and warmth of a wooden house is not only an expression of natural beauty that without a doubt will delight your eyes every day, but also is a result of lower heating costs that do not break your wallet. 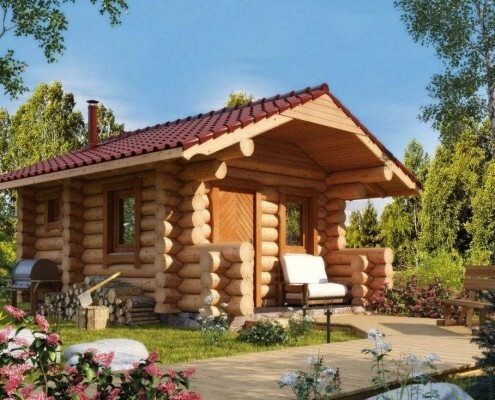 People living in pine log houses are at a lower risk of Lung and Heart diseases, therefore we always use ecologically pure materials in the construction of our houses, cottages and bath-houses. 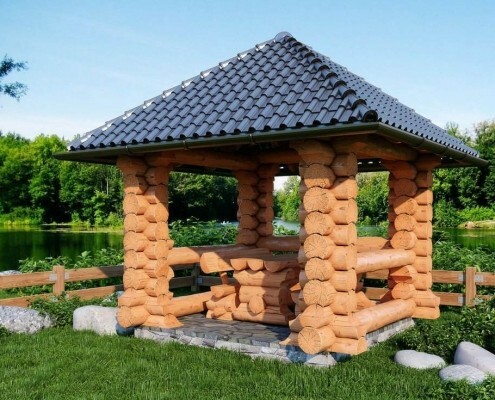 A handcrafted log sauna is not just a sauna, but also a place for recreation, celebrations and even business meetings. We offer a variety of structures including small one-storey bath-houses for a small number of people, as well as more spacious two-storey saunas with a steam room, shower, toilet, and a seating area on the ground floor and with a bedroom and sitting area on the first floor. The first floor can be completed either by a balcony or a loggia, and the terrace on the ground floor. This kind of bath-house would be a great place to spend some free time with family and friends. Log houses building. Houses, saunas, holiday houses, pergolas, workshops, garages, garden furniture, log stairs, hardwood decorations.